So you’ve put a lot of effort into developing products and/or services that are the best of their kind. Trust me, your job is only half done. No matter how good your products are, they won’t sell by themselves. And that is exactly why you need to have an effective customer acquisition strategy in place. According to Smart Insights, 85% of marketers use influencer marketing, 90% of them say that it’s their most effective form of marketing, and 60% plan to increase their budgets for it. But what makes it a great customer acquisition strategy? Because content that is developed by influencers is interesting, valuable, authentic, engaging, and doesn’t look spammy, it helps build a connection with your potential customers. So when you collaborate with influencers in your niche, you can attract your target audiences effectively. In this post, we’ll explore some effective influencer marketing tactics to reinforce your customer acquisition strategy. We’ll also talk about ways and tools to identify the right influencers for your campaigns. Free Bonus Download: It’s very important to know your conversion numbers at each step of the funnel – use this checklist to increase those numbers! Click here to download it for free right now! Now that you understand the importance of influencer marketing, let’s look at how you can find relevant influencers. The selection of these key people directly impacts the results you’ll get from your influencer marketing campaigns. An influencer’s reach is determined by calculating the total number of followers, subscribers, and visitors to their blog or website. For your customer acquisition strategy to work, you need to select an influencer who has a decent reach. However, remember that a “decent” reach varies from industry to industry. If you wish to have an effective customer acquisition strategy, you must find an influencer who is relevant to your industry. This is crucial to the success of your campaign and cannot be neglected. When you select a relevant influencer, you know for sure that their followers are your target audience and this means that your message will be seen by the right people (people who have a good chance of becoming your customers). On the other hand, if you collaborate with an influencer whose niche is very different from yours, your campaign will be ineffective due to their lack of relevance. Another important thing to keep in mind when identifying influencers is the rate of engagement. Analyze and evaluate the interactions between the influencer and their followers. Make sure to check if the influencer regularly engages with their followers or not. You also need to check for the number of comments, likes, reactions, and shares generated by their posts. If an influencer has thousands of followers but only a handful of likes and comments on their posts, be cautious. You definitely want to spend your money on “real” influencers and not people who have amassed a following by buying them. These factors will have a direct impact on your customer acquisition strategy. Let’s take a look at some winning influencer marketing tactics to help you create a robust customer acquisition strategy. The way you represent your brand to your audiences is very important for customer acquisition. Your brand’s values and mission need to be clearly communicated in a simple, easily understandable, and relatable way to your audience. To a large extent, your brand’s image will depend on what and how you communicates. Stories are the best way to build an emotional connection with people, so you can ask your influencers to share your brand’s stories with their social media followers in ways that will appeal to them. But why do you need an influencer to become a storyteller for your brand? Influencers are known for their creativity and authenticity, so when they present your stories to their followers, it can do wonders for your customer acquisition strategy. Because 89% of brands depend on influencers for sharing their stories with authentic content, it tends to attract new customers. For example, Amber Fillerup is a fashion influencer and an expert storyteller on Instagram with 1.3 million followers. Popular brands like Urban Outfitters and Nordstrom have often teamed up with her to promote their brands’ stories. 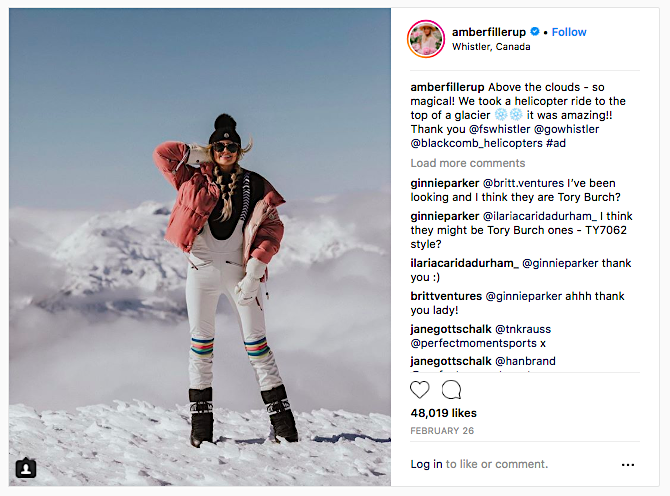 In the post below, she is seen promoting a travel experience in Whistler, Canada. As you can see, there isn’t much text in the post, yet it has managed to receive over 48K likes. Organizing giveaways or contests is one of the best ways to strengthen your customer acquisition strategy. When done correctly, it will definitely draw new customers to your brand because it’s always exciting to win a prize, free of cost. And when you collaborate with influencers to run contests or giveaways, you can reach a wider audience which may not have been possible otherwise. 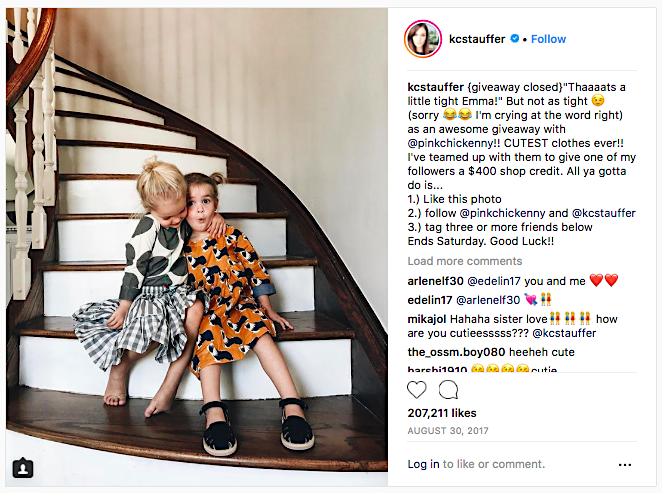 Katie Stauffer is a successful mom influencer with nearly 4 million followers on Instagram. Chicken NY, a kids clothing brand, recently collaborated with her to organize a giveaway contest. This is a great way to make people aware of your brand and products. However, there are a few things you need to keep in mind when hosting giveaways. Make sure that the instructions to enter the contest are clear and so are the winning criteria. Of course, you need to also make sure that you’re offering something valuable so that people want to participate. As you see below, Katie very clearly explains the instructions to enter: participants need to like the picture, follow the brand and the influencer on Instagram, and tag three or more of their friends in the comments. This is a great tactic that helps both the brand and the influencer gain new followers. One of the easiest ways to increase awareness of your brand is to turn your loyal fans into brand advocates. You can use the same strategy with your influencers, too. So team up with influencers who are already huge fans of your brand and turn them into advocates to support your customer acquisition strategy. This tactic is much more effective when you build an influential brand advocates community, rather than collaborating with just a few of them. You can use various social monitoring tools to track any mention of your brand or products. These tools will help you to identify your biggest loyal influencers. For example, Glossier, a makeup and beauty brand, has a community of influential brand advocates called “Glossier Girls.” Followers of these Glossier Girls can use their unique URL and get a 20% discount on their first purchase. By simply promoting the brand’s products, they, too, stand a chance to make money. To further reinforce your customer acquisition strategy, you can use hashtags that are relevant to your campaign. The key to getting discovered by relevant audiences and increasing brand awareness is to use the right hashtags, but remember that it takes time, effort, and extensive research to find relevant ones. Ensure that they are a mix of common and unique ones and encourage your influencers to use this successful combination of hashtags in their posts. 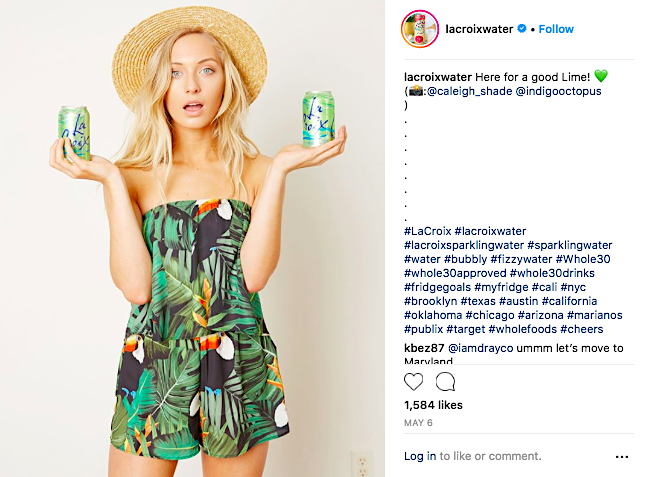 For example, LaCroix, a sparkling water brand, works with micro-influencers to promote their product and gain new customers. In the example below, even though the micro-influencer has less than 5K followers, her engagement rate is pretty high. As you can see here, the brand uses specific hashtags and they’ve asked the influencer to use them too. Just like LaCroix, you can also promote your products by using specific and relevant hashtags in your campaigns. One way of collaborating with micro-influencers is to send them free samples of your products and ask them to review and/or promote them on social media. To further strengthen and support your customer acquisition strategy, ask your influencers to write and share honest reviews about your products. Genuine feedback never fails to attract to new customers. User reviews and testimonials are even more important when you are a fairly new brand in the industry. In such cases, chances are high that people have not heard about your product or they don’t trust you enough yet to invest their money. However, a positive review from an influencer whom they trust can speak volumes about your brand and it’s value. According to the 2016 Edelman Trust Barometer report, 65% of people trust the advice from an industry expert. So collaborate and ask relevant influencers to give you their honest feedback of your products or services and ask them to share their experience with your brand on their social accounts. These tactics will surely help you win the trust of new customers. Lewis Hilsenteger is a tech and gadgets guru with over 11 million subscribers on his YouTube channel, Unbox Therapy. In his videos, he talks about all the coolest and latest gadgets. OnePlus, a mobile phone brand, partnered with him to promote their new OnePlus 6 smartphone using his review and opinions. He made a video on OnePlus 6, talking about the smartphone in detail, and in just a few days, the video was viewed by more than 1.5 million people and liked by 53K. Leveraging user-generated content (UGC) is one of the most successful and powerful tactics to gain new customers. You can think of UGC as a hidden advantage for your influencer marketing campaigns. For this tactic to work, you need to first establish and build connections with your influencers and then leverage their trustworthiness and reliability to position the image of your brand on social media. When you compare all forms of content, people trust visuals from users more than any other format. 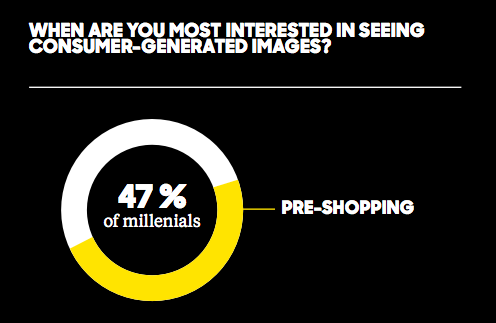 User-generated visuals are more impactful and influential when compared to a brand’s own images or videos. This is exactly what the Hawaiian Tourism board did. They collaborated with micro-influencers to promote tourism and encourage people to visit Hawaii. They used the hashtag #LetHawaiiHappen for the campaign. 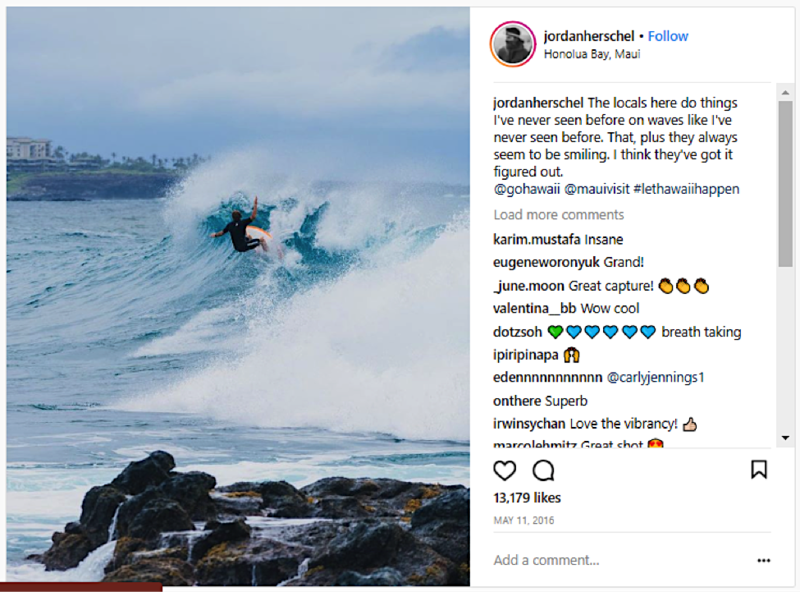 One of the micro-influencers was Jordan Herschel, a professional photographer. The screenshot below is one of his posts on Instagram in which he talked about the beauty of Hawaii. The campaign successfully generated 100K posts in just one year. Collaborating with influencers to reinforce your customer acquisition strategy is probably the most cost-effective way of gaining new customers. As influencers are genuine, authentic and creative, they can easily establish a connection with your prospects. But make sure to find relevant influencers in your niche for the success of your campaign. Monitor your campaigns, as this can help you understand what’s working and what’s not and, if needed, make changes accordingly. You must also track the traffic and conversions generated from your influencers’ content. It is important that you keep leveraging these influencer marketing tactics for a successful customer acquisition strategy.